UK Board class 09 Science Syllabus in PDF format for free download. Science syllabus for class 9 UK Board is now available in the myCBSEguide app. The curriculum for Uttarakhand Board exams is designed by UBSE, Uttarakhand as per NCERT textbooks for the session. The subject of Science plays an important role in developing well-defined abilities in cognitive, affective and psychomotor domains in children. It augments the spirit of inquiry, creativity, objectivity and aesthetic sensibility. Upper primary stage demands that a number of opportunities should be provided to the students to engage them with the processes of Science like observing, recording observations, drawing, tabulation, plotting graphs, etc., whereas the secondary stage also expects abstraction and quantitative reasoning to occupy a more central place in the teaching and learning of Science. Thus, the idea of atoms and molecules being the building blocks of matter makes its appearance, as does Newton’s law of gravitation. 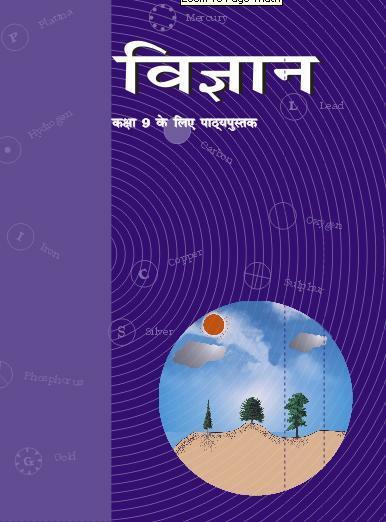 The present syllabus has been designed around seven broad themes viz. Food; Materials; The World of The Living; How Things Work; Moving Things, People and Ideas; Natural Phenomenon and Natural Resources. Special care has been taken to avoid the temptation of adding too many concepts that can be comfortably learned in the given time frame. No attempt has been made to be comprehensive. At this stage, while science is still a common subject, the disciplines of Physics, Chemistry and Biology begin to emerge. The students should be exposed to experiences based on hands-on activities as well as modes of reasoning that are typical of the subject. There will be an Annual examination based on the entire syllabus. The annual examination will be of 80 marks and 20 marks weightage shall be for internal assessment. Out of 80 marks, annual examination 68 marks weightage shall be for theory and 12 marks weightage shall be for practical based questions. There will be three periodic tests conducted by the school. Average of the best two tests to be taken that will have a weightage of 10 marks towards the final result. Practical / Laboratory work should be done throughout the year and the student should maintain the record of the same. Practical Assessment should be continuous. There will be weightage of 5 marks towards the final result. All practicals listed in the syllabus must be completed. Regularity, class work and home assignment completion along with neatness and upkeep of notebook will carry a weightage of 5 marks towards the final results. Note: Above weightage includes the weightage of questions based on practical skills. Definition of matter; solid, liquid and gas; characteristics – shape, volume, density; change of state-melting (absorption of heat), freezing, evaporation (cooling by evaporation), condensation, sublimation. Nature of matter : Elements, compounds and mixtures. Heterogeneous and homogenous mixtures, colloids and suspensions. Particle nature, basic units : Atoms and molecules. Law of constant proportions. Atomic and molecular masses. Mole Concept: Relationship of the mole to the mass of the particles and numbers. Structure of atom: Electrons, protons and neutrons, valency, the chemical formula of common compounds. Isotopes and Isobars. Cell – Basic Unit of life: Cell as a basic unit of life; prokaryotic and eukaryotic cells, multicellular organisms; cell membrane and cell wall, cell organelles and cell inclusions; chloroplast, mitochondria, vacuoles, endoplasmic reticulum, Golgi apparatus; nucleus, chromosomes – basic structure, number. Tissues, Organs, Organ System, Organism: Structure and functions of animal and plant tissues (only four types of tissues in animals; Meristematic and Permanent tissues in plants). Biological Diversity : Diversity of plants and animals – basic issues in scientific naming, basis of classification. Hierarchy of categories/groups, Major groups of plants (salient features) (Bacteria, Thallophyta, Bryophyta, Pteridophyta, Gymnosperms and Angiosperms). Major groups of animals (salient features) (Nonchordates upto phyla and chordates upto classes). Motion: Distance and displacement, velocity; uniform and non-uniform motion along a straight line; acceleration, distance-time and velocity-time graphs for uniform motion and uniformly accelerated motion, derivation of equations of motion by the graphical method; elementary idea of uniform circular motion. Force and Newton’s laws: Force and Motion, Newton’s Laws of Motion, Action and reaction forces, Inertia of a body, Inertia, and mass, Momentum, Force and Acceleration. Elementary idea of conservation of Momentum. Gravitation: Gravitation; Universal Law of Gravitation, Force of Gravitation of the earth (gravity), Acceleration due to Gravity; Mass and Weight; Freefall. Floatation: Thrust and Pressure. Archimedes’ Principle; Buoyancy; Elementary Idea of Relative Density. Work, energy and power: Work done by a Force, Energy, Power; Kinetic and Potential energy; Law of conservation of energy. Physical resources: Air, Water, Soil. Air for respiration, for combustion, for moderating temperatures; movements of air and its role in bringing rains across India. Air, Water and Soil pollution (brief introduction). Holes in the ozone layer and the probable damages. Bio-geochemical cycles in nature: Water, Oxygen, Carbon and Nitrogen. Plant and animal breeding and selection for quality improvement and management; Use of fertilizers and manures; Protection from pests and diseases; Organic farming. Practicals should be conducted alongside the concepts taught in theory classes. Separation of the components of a mixture of sand, common salt and ammonium chloride (or camphor). Sodium sulphate with barium chloride in the form of their solutions in water. Preparation of stained temporary mounts of (a) onion peel, (b) human cheek cells & to record observations and draw their labeled diagrams. Identification of Parenchyma, Collenchyma and Sclerenchyma tissues in plants, striped, smooth and cardiac muscle fibers and nerve cells in animals from prepared slides. Drawing of their labeled diagrams. Determination of the melting point of ice and the boiling point of water. Verification of the Laws of reﬂection of sound. Determination of the density of solid (denser than water) by using a spring balance and a measuring cylinder. strongly salty water, with the weight of water displaced by it by taking at least two different solids. Determination of the speed of a pulse propagated through a stretched string/slinky. Study of the characteristics of Spirogyra / Agaricus, Moss / Fern, Pinus (either with male or female cone) and an Angiospermic plant. Drawing and providing two identifying features of the groups they belong to. one specific feature of its phylum. one adaptive feature with reference to its habitat. Verification of the law of conservation of mass in a chemical reaction. Study of the external features of the root, stem, leaf, and ﬂower of monocot and dicot plants. For study material on UK Board class 9 Science Syllabus download myCBSEguide app.UK Board class 9 Science Syllabus is also available in myCBSEguide website. UK Board class 9 Science Syllabus for the session 2018-19 is available here in PDF format. For latest UK Board class 9 Science Syllabus, please visit UBSE official website.